The National Highways and Infrastructure Development Corporation (NHIDCL) has taken a lot of digital initiatives for which they have been awarded by the Government of India also. 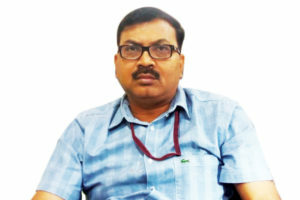 All their projects are done through Engineering, Procurement and Construction (EPC) mode, says Satyabrata Sahu, Director (Administration and Finance), NHIDCL, in conversation with Gautam Debroy of Elets News Network (ENN). What are some of the initiatives taken by NHIDCL recently? We are not only looking after Northeastern States but are also responsible for border areas of Jammu and Kashmir, Himachal Pradesh, Uttarakhand and Andaman and Nicobar Islands. We are operating in 12 States. In the last 4 years, we have taken many initiatives. Recently, H.E. President of India has inaugurated a stretch of road from Udaipur to Bangladesh border. NHIDCL has over the years, provided very good quality roads in the Northeastern States. Almost 13,000 km of road development has been entrusted to us. We have completed the construction of 700 kms of roads in the last three years. In the last two years, a lot of activity has taken place. We are also building tunnels in these states. Similarly, in Andaman and Nicobar Islands, we are connecting 300 km of land from North to South at a cost of Rs 3,000 crore. We are building a bridge to Bangladesh, we are doing activities in Nepal. In all, a lot of projects have been started by us in India and abroad. Please brief us about the Feni Bridge project in Bangladesh. The 150-metre bridge on river Feni in Bangladesh is being built at a cost of Rs 110 crore and will connect Tripura and Bangladesh. Trade activities will take place through this new bridge.The work has already started. We are building the foundation of the bridge currently. As of now, the work has been stopped due to rains, but it will resume after September. People from Bangladesh and Tripura are going to benefit from this and it will be a boon to traditional businesses as well. How important it is to strategically improve the border roads? India is a very key and great player in the subcontinent. We want to increase the connectivity of the border areas with the rest of the country and to other neighbouring countries as well. Building a good infrastructure is important for the defence of the country. It is also important keeping in mind the trade and commerce of the country. It also provides connectivity to people who were living in these far-flung areas for the past so many years without any proper means of travelling. We face a lot of challenges. There are natural constraints of climate. In Northeastern States, it rains continuosly for five-six months. Then, there are problems of avalanches, landslides, etc. We have problem of utility shifting like electric lines, both HT and LT, telecom lines, gas pipelines, water pipelines etc. State Governments are helping us overcome these challenges. Land acquisition is also a problem. People have to be motivated. With the help of State Governments, we are trying to acquire the land. We are regularly doing video conferencing with the District Magistrate of these areas. The three important authorities, Central Government, State Governments and the District Administration need to be in direct contact to overcome the hurdles. What digital initiatives have been initiated by your Department? We have taken a lot of digital initiatives. We have been awarded for various e-governance projects by the Government of India. We are doing all our projects through Engineering, Procurement and Construction (EPC) mode. We are engaging authority engineers to check the awards along with our staff. All the data of Detailed Project Reports, engineers and others are available on infracon portal. It makes the system transparent. Second is Inam-Pro portal. Here, the names of the material suppliers and rates of the materials supplied are given.Then we have Bidder Information Management System or BIMS where information of all the bidders are available. Another initiative is the ePace portal for the monitoring of the projects. How do you think the condition of roads will improve in the next five years? We are maintaining the roads well. Every five years,the contract is renewed for the maintenance of the roads.